“One reading of these figures could be that local roads are in better condition than they were. But that does not square with councils’ own assessment that the road maintenance backlog is actually growing, not falling. “Ahead of the general election an RAC Foundation poll found that the condition of roads and pavements was regarded as the number one transport issue amongst voters, just as it was back in 2010. “Better roads don’t just benefit car drivers. While potholes are an inconvenience for those on four wheels, they can be a matter of life or death for those on two. According to the report one-time catch-up cost for bringing roads into a “condition from which longer term and cost-effective, planned preventative maintenance programmes could be put into place” was £12.6 billion for 2014/15, up from £12 billion the previous year. 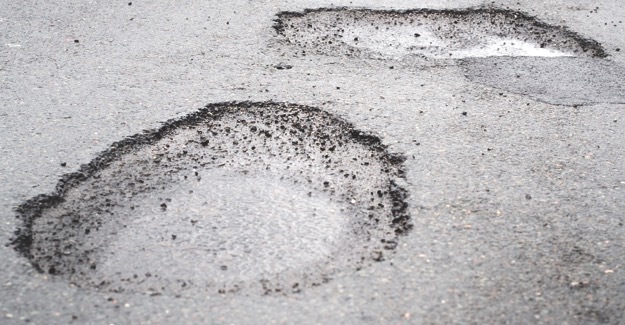 1) The total number of claims for vehicle damage caused by or attributed to the condition of your road network (such as potholes). 2) The total monetary value of the claims for vehicle damage caused by or attributed to the condition of your road network (such as potholes). 3) The total number of successful claims for vehicle damage caused by or attributed to the condition of your road network (such as potholes). 4) The total monetary value of the successful claims for vehicle damage caused by or attributed to your condition of the road network (such as potholes). 5) The administrative cost to your local authority of a single claim (regardless if it is successful or not). 6) The number of man-hours taken to administer these claims by your local authority (regardless if they are successful or not). These are the full tables for all GB councils that responded; first alphabetically and then ranked by number of claims received. Note: there seems to be an anomaly with the data provided by Bournemouth Council. * Value rounded to the nearest £. **Please note that the percentage of successful claims refers to completed claims. There may have been ongoing claims at the time of the Local Authority’s response. Rounded to the nearest %. *Value rounded to the nearest £. **Please note that the percentage of successful claims refers to completed claims. There may have been ongoing claims at the time of the Local Authority’s response. Rounded to the nearest %. .